In early September, just as thousands of children in Connecticut started their first week of school, a trial court judge declared that state’s school finance system unconstitutional. The judge — to emphasize the significance of the moment — read his decision from the bench, a process that took approximately two hours. In a way, the scene resembled a principal scolding a group of misbehaving school children (in this case politicians) in the principal’s office. Of course, like any good principal, he gave the legislature a stern warning but, at the same time, gave them a chance at redemption. He ordered them to fix the system within 180 days. Reaction to the decision was mixed. Some called it a “game-changer.” Others expressed disappointment that the decision lacked specifics about cost and policy. Still others fretted that the judge had “legislated from the bench” and engaged in policy-making. To be sure, each perspective has some degree of truth. Yet the realist is that the impact of the decision remains an open question. While the problem is clear (the system is broken), designing and implementing an effective remedy is much more complicated. The success or failure depends on the crucial next steps of the various branches of government – the executive, legislature, and judiciary. Connecticut is at a crossroads with essentially two paths forward. First, the state legislature and judiciary could engage in a drawn out showdown over constitutional territorial control. The legislature may frame Judge Moskawer’s decision as overly involved in education policy, something that is properly — and constitutionally — within the jurisdiction of the legislature. Moukawsher’s decision invites this response. It may be too tempting for the legislative body to view this as a contest about power, rather than a problem of policy design. This is exactly what is happening in Washington state. That state legislature has virtually ignored its supreme court’s declaration (issued in 2012) that the education system is unconstitutional. Early signs suggest that is exactly where things are headed in Connecticut. The state attorney general already filed an appeal with the supreme court, arguing that Judge Moukawsher overstepped his authority. But it would be a shame if the debate and resources center around power at the expense of a real reform. But there is second way. It requires each branch of government to work together, assert some political courage, and ultimately reach a compromise. To begin with, the legislature and executive could use the trial court’s decision as “political cover,” asserting that the courts have spoken and some tough decisions must be made (e.g., additional revenue through taxes, a redistribution of revenue). This carries political risk; certainly voters will react against such mechanisms no matter who is to “blame.” However, at some point, politicians must recognize that there are some things more important than re-election. At the same time, the courts must avoid any temptation to micro-manage educational policy. While the court should retain jurisdiction over the case as the legislature engages in a remedy-seeking phase, it must reduce its policy moxy which only entices a constitutional power contest. Moreover, continued judicial involvement may require some concessions to the political branches (e.g., extending the timeline for a remedy from 180 days, accepting “good” proposals as opposed to demanding “perfect” solutions). This happened in Massachusetts. That state’s supreme court declared the system unconstitutional and gave a single justice jurisdiction to oversee the legislature’s reaction. The process took many years, but ultimately, the state supreme court determined the state education system constitutional. It’s not perfect, for sure, but it represented a substantial improvement. Indeed, Massachusetts schools consistently perform quite well, something Judge Moukawsher’s opinion noted. This recent decision in Connecticut represents both an opportunity and a trap and the proverbial ball is in the court of elected officials. Let’s hope that the decision-makers and parties involved make decisions with the best interests of the children at heart. If ever a moment for the exercise of some political courage existed, this may be it. 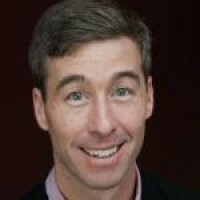 Mark Paige, J.D., Ph.D., is assistant professor of public policy at the University of Massachusetts-Dartmouth and author of Building a better teacher: Understanding value added models in the law of teacher evaluation.